This is a topic mentioned to me by a Mr.Byers. 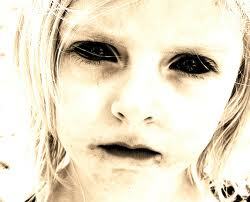 After my topic on Mothman he asked if I had anything on black eyed children. A little perplexed I asked him about it he gave me a link to ufodigest to read on for myself. This is what I’ve learned as well as connecting the dots in my head. For anyone that has seen the Ju-on* movies will be familiar with the appearance of a BEK, though I don’t believe they’re purely just spirit related. My reason for saying this is that the BEK’s strongly remind me of some books on the paranormal my dad has. When I was little, about six or seven, he’d let me read them and I devoured the information. Due to my limited reading capacity at the time I could only read so much, but there was a passage that stuck with me the most. Don’t worry this anecdote is almost over. The passage in question involved the so called MIB and people that have had them visit into their home. The “guests” would put the home owner in a state of unease in their presence as well as showing ignorance to everyday household items. The reports in the book also stated they were deathly pale and appeared to be wearing make up in an attempt to mimic a more normal appearance. From this between the BEK’s and MIB reported in the book(s) a couple parallels can be drawn. A) Both appear to be ordinary humans at first. There is a sense of unease about them but until we place our finger on what’s wrong we might ignore it. With the BEK’s it’s when it’s realized their eyes are pitch black, cornea and all. The MIB, depending on who it is (there have to be some human ones in the ranks after all), may show an ignorance of common items or while try to mimic our behaviors but do so in jerky or mechanical way, again creating a sense of unease. B) A sense of urgency in both. For the BEK’s they attempt to try and enter ones home or vehicle. The reason for such will vary on the situation but the longer they are denied entry the more urgent they become. For the MIB the urgency is in secrecy. Again the situation will vary but the usual cause for their appearance is to enforce some level of secrecy even going so far as to threaten the individuals in question at the time. To the BEK’s, a connection to them and “classical” vampires can be drawn via the needing an invitation. For me that connection just isn’t there. I’m more inclined to think that they’re more than likely related in some form to extraterrestrials. They tend to pop up around evening and later, much like most ufo sightings. They also have the dark eyes which, for anyone that is familiar with the stereotypical “greys” appearance, can see similarities there. Perhaps the BEK’s are in disguise to act as scouts for potential marks and for whatever reason they still need their eyes exposed. In to the artical linked below it is stated perhaps the fear they instill in us is sourced to their eyes. Mayhaps if their disguise covered them it would act in a similar way to why they don’t wear sunglasses to cover the unsettling feature. They need us to see their eyes. They took a group of people out by some caution tape. Said tape was supposed to be guarding off a fake ufo crash sight. They then took their group and asked them what they saw. Needless to say a majority of the group had fabricated something in their minds, all without meaning to. Their study being a test on the mind and how time affects memory they repeated the questions to the group sixth months later. The earlier fabrications now almost wildly different from before. One of them even stated the fake MP’s there pointed guns at them even though the group hadn’t even gotten anywhere near them to see them. Now then the point to the secondary anecdote. A portion of all sightings are fake in one form or another. Whether an unintended creation of our own mind or a hoax played on us, we have to accept some aren’t real. I don’t doubt that BEK’s exist just that there is cause to believe that some sightings aren’t credible. That can be said till were all blue in the face though it would change few peoples minds. In the words of my former communications teacher, it’s easier to change someones attitude than it is to change ones beliefs. Now then, I leave everyone with one last BEK picture because I wanted to shove it in somewhere. I’m off to go read up more information. * The Ju-on movies are the original Japanese “grudge” movies that the American versions were based off of. I’ve already done a post relating to children and the paranormal, but last night’s episode of Paranormal Witness struck another chord. If you’ve ever seen “A Haunting in Connecticut” from the Discovery channel its a more detailed retelling of that. To cut into what struck me is how when a lot of stories relating to children and the paranormal, why the hell does the parent ignore it. I know the mother knows her mistake now but when something truly, and I mean truly, bothers a child its the parents responsibility to battle back the shadows. I don’t care if it only turns out to be a really ominous jacket or a lump of toys that look like a monster. Don’t get me wrong here. For the last statement above I know that that’s a portion to why parents don’t take it seriously. Children do have imaginations and can run away with said imagination. The only thing is when there are things beyond a child’s imagination why still ascribe what they see to it? Not all children are into history or violent related subjects, if anything most children would like to avoid the latter. So why is it that when they tell their parents of seeing other people in period dress or bloodied or worse that its just “something they saw on tv”. If this infuriates me so much I can only imagine how truly frustrated the children feel. 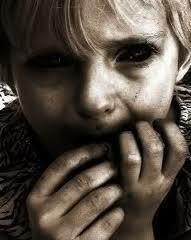 Imagine being a child again and how everything in the dark would turn frightening. The smallest shadow would send pure terror into the core of ones soul. Now take it one more step and tell the parent/guardian what’s been seen. When first told they might brush it off and might even entertain what it might be just to humor the child. Next few times it bothers them a little bit too and they start prodding the closet to set minds at ease. After the next few times they might grow irritated at the continued information of what the child sees and would soon regulate it to wanting attention. For some parents a little attention showering later, they grow more irritated since they’d see no reason for the child to harp on. At this stage it’s probable that if it is a paranormal, happening things go missing. Result of this is further infuriated parents, demanding items back for which the child had no assistance in there abscontion (hence the title ). Past that point there are many ways it could go depending on the children and parents involved. Perhaps it’s just because I’m not a parent yet myself when it comes to children. I grew up believing that parents were a child’s knights in shining armor, slashing back the darkness with their imaginary swords. When I was a child things crossed my vision that bothered me as well, I just never told my parents. I couldn’t really tell them though even if I wanted to, but this subject isn’t about me. It also leads me to another one which I’ll need to write about at a later date. Subject in question is about children with mental handicaps and how to deal with them and their purposed encounters. If the average children have difficulty with it I don’t dare imagine the amount of fear and confusion they would feel. Again though, a topic for another time. To make a small summary of this if something bothers the children take them seriously. I honestly cannot stretch that enough. 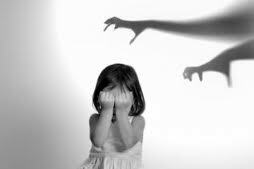 Even if what they see is just a shadow and only that their fears and feelings should be taken into account. 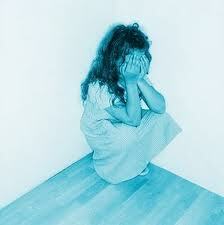 No one wants their child to feel insecure, untrusted, and troublesome for things beyond their control. When UFO Hunters was airing one of it’s many reruns on H2 they had an episode nearly dedicated to this little skull. For anyone that doesn’t know what the big deal about this skull is, it was a skull found in the 1930’s and due to it’s unusual shape was thought to not be human. Looking at it I don’t blame them. When the hosts of the show asked the nurse that was looking over it she stated that she had never seen anything like it ( and since her expertise was with babies I believe she would know ). However I may not be a nurse but I do have a small idea in how to explain the skull. Some years before when i was still in middle school and my interests were just budding the Travel channel had a special on the Mutter Museum. During the special I happened to spy a small skeleton. It was of a conjoined twin and with it’s appearance I would dare say it was one in several thousand in odds of occurrence. It had a head that resembled the star child skull but with two tiny little bodies underneath it. 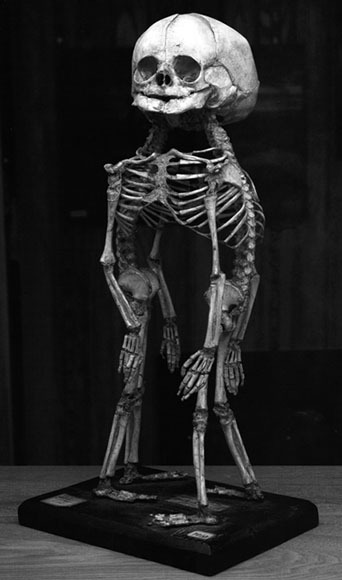 Granted I’m not saying that it’s what it is, since the odds of a conjoined twin like in the pictured skeleton surviving for the skull to grow that big is well over one million to one. Rather just the what if one had? Also I’m not going to entirely buy the father is an “alien” bit just yet. There are many genetic conditions that mess with how are DNA is perceived ( and in chimera’s replaced in some organs ). What’s to say the father didn’t have some form of mutation that would have interfered with testing? Again not saying definitively but merely putting out the possibility.